According to the gospel of Saint John, Jesus is portrayed as the good shepherd. “The good shepherd always lays down his life for his sheep” (John 10:11). During the time of birth of Jesus, shepherds were considered important people in the society. They played an important role as they were the first to visit baby Jesus when he was born in the manger. The shepherds were invited by the angels and not by mere mortals. The implication signifies Jesus as part of the shepherds and this is why they came to pay their respect during his birth. As Jesus grew in favor of men and God, he had a soft spot for shepherds. 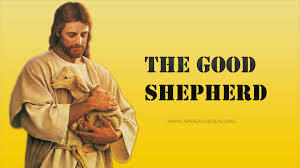 As a savior for humanity, he is depicted as possessing a warm feeling towards the shepherds although he refers himself as the good shepherd; not of sheep but men. In an exposition analogy in John chapter ten, he recounts to his followers of how a shepherd enters into the door of the sheepfold openly and without sneaking. Therefore, this attribute makes the sheep conversant with the shepherds’ voice and in relation the shepherd knows the sheep by name, and he leads them out (Biblegateway.com, 2014). The trust, confidence and love that the sheep have for the shepherd makes them follow. Contextualizing this parable, Jesus is seen as a man of character, loved by his followers and highly trusted. Jesus knows all his followers by name making him the good shepherd. Looking closely to the relationship that Jesus had with his disciples, he is indeed a good Shepherd. Just like the sheep follow the shepherd, His disciples followed him wherever he went. They abandoned their works and were fully involved in the evangelizing ministry with Jesus as the leader. He finds green pastures for his flock. Jesus says, “I am the door: if a man enters via me, they shall find pasture and be saved” (John 10:15). To the believers, Jesus did not only bring life but life in abundance. As a gift of the gospel, if believers understand the importance of Jesus and who he is, they get the most out of their time on earth. He emphasized that as the good shepherd he is not like a hired hands man. A hired man will see the wolf coming while in pasture and will leave the flock and flee for safety and refuge. Since he does not own the sheep, he has little concern for the same. The name Jesus, as interpreted in the Hebrew context was Emmanuel and means God with his people. He will never forsake nor leave those he has appointed not even in the face of a sheer danger (Shepherd?, 2014). Therefore, e is a cornerstone of comfort, a refuge in the times of sorrow and challenges. Jesus, therefore, qualifies as the good shepherd. In the history of Christianity, Jesus is the author and finisher of our faith. As a good shepherd, He knows his followers, and it was from mercy that he chose to leave his comfort zone in heaven and come to salvage humanity. He faced trials and temptations in his quest to redeem humankind and out of choice he stayed to face Satan and defend his flock. In his analogy, he says “as a father knows me, even so do I know Him: and I lay down my life for the sheep” (John 10:15). This indicates that Jesus knew what he was doing and did not lead his sheep blindly. He had a destination for them. In john 14:2, Jesus states that “In my father’s house there are many rooms, if this was not so I would have told you. Behold, I go forth to prepare a place for you” (John 14:2). When the place was done, Jesus promised to come for his followers so that where he is they may be there also. However, like any other god shepherd, he did not leave his flock unattended, he was to send a helper. The help is the Holy Ghost. He was to guide and take care of the flock in the absence of Jesus. Jesus identifies the Pharisees as the evil shepherds as illuminated in Ezekiel chapter 34. They had expelled from the flock of God the man whom God himself had appointed. They were solely responsible for scattering the sheep that was contrary to the sole mission of Jesus; gathering the flock (Wright, 1939). As opposed to the official Judaism, Jesus refers to his followers as people who follow him as opposed to the leaders of Israel. As a good shepherd, Jesus is contextualizing the divine purpose of His intention from creation. The works and events in the life of Jesus are a reflection of responsible, caring and divine purpose for the purpose of saving mankind from the daunting challenges of sin. He comforted the weary, healed the sick, opened the eyes of the blind, and even provided for the poor which correlates with the attitudes and purpose of a good shepherd. The aspects of a good shepherd are reflected in the life of Jesus. To date, since He is regarded as the savior of humanity, and no one can go to the father without passing through Jesus, His mission on earth as the good shepherd is seen. In Revelation, Jesus stands at the door and knocks if a man hears his still small voice Jesus urges them to open as he will enter and dine with them. It is the responsibility of the good Shepherd to look after his sheep and Jesus does this very well. Wright, G. (1939). The Good Shepherd. The Biblical Archaeologist, 2(4), 44--48.